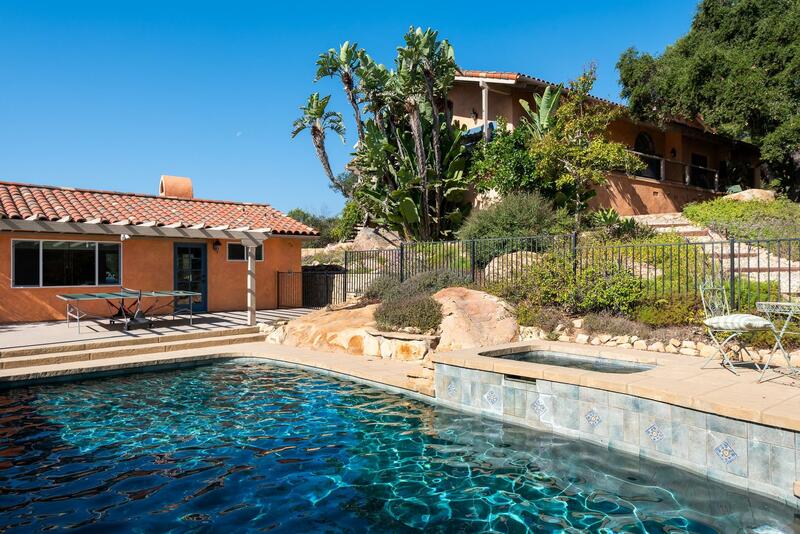 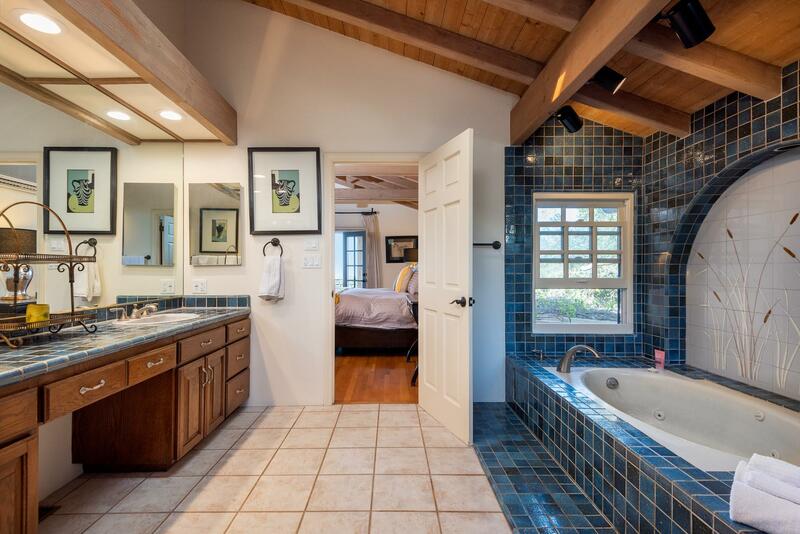 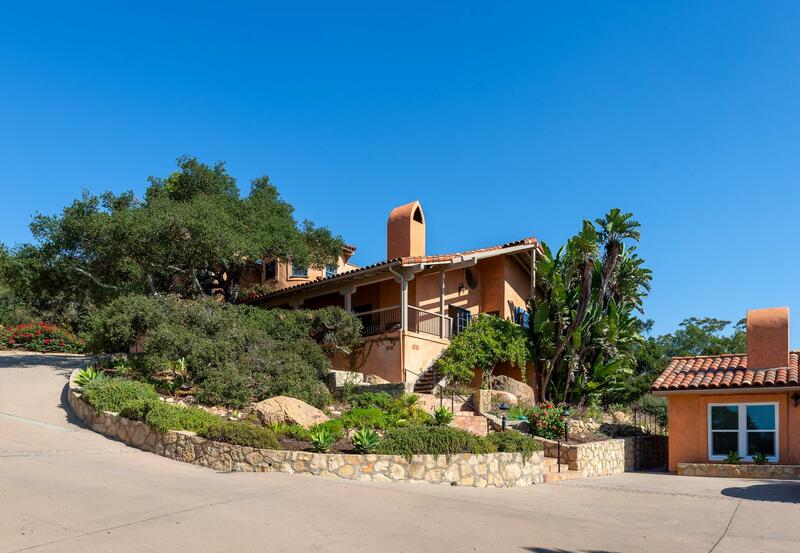 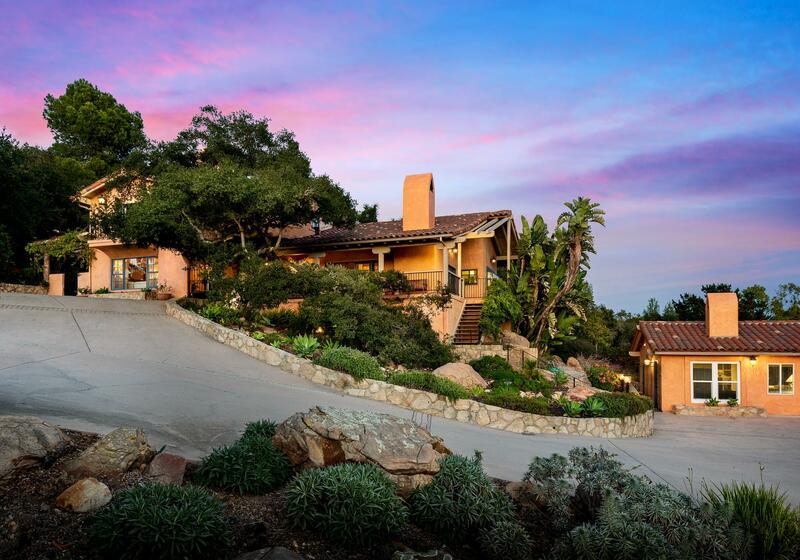 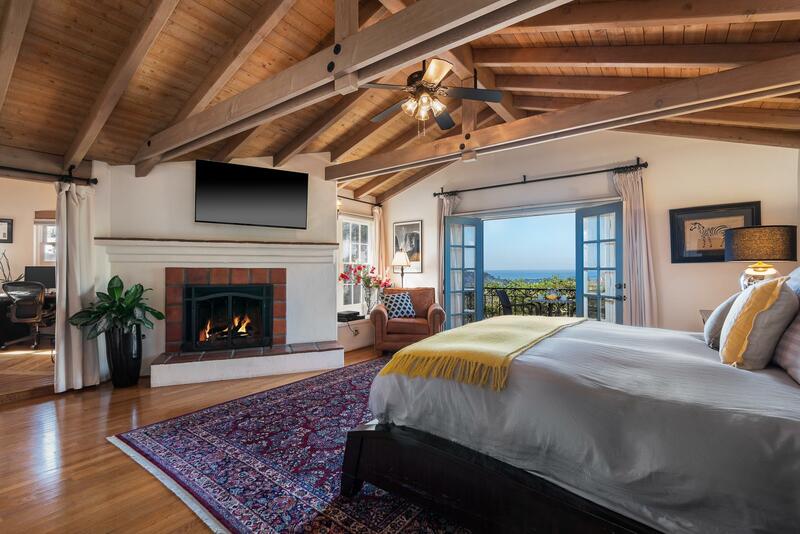 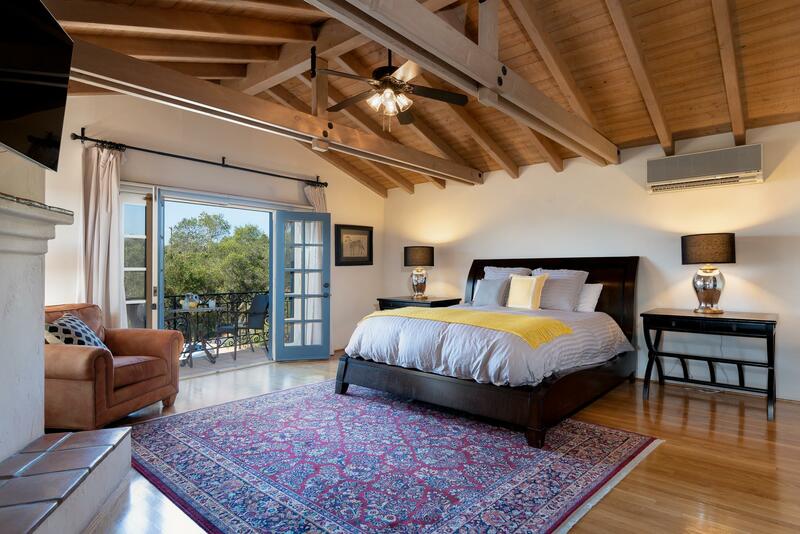 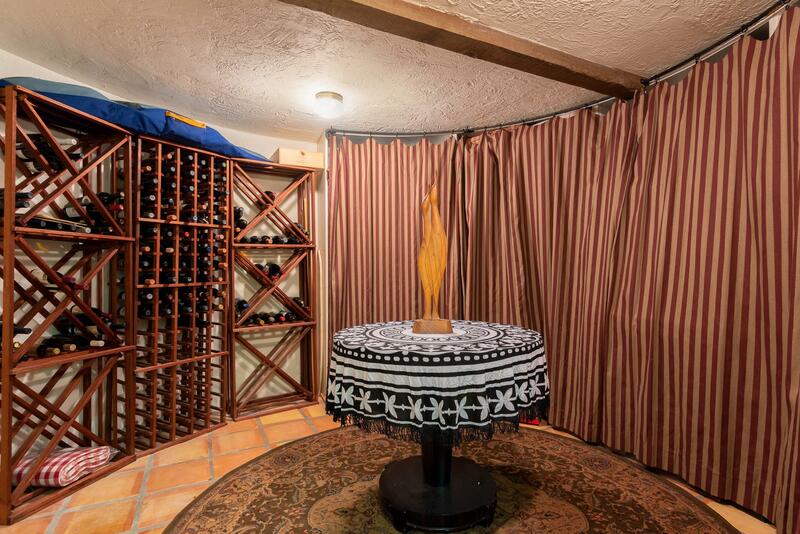 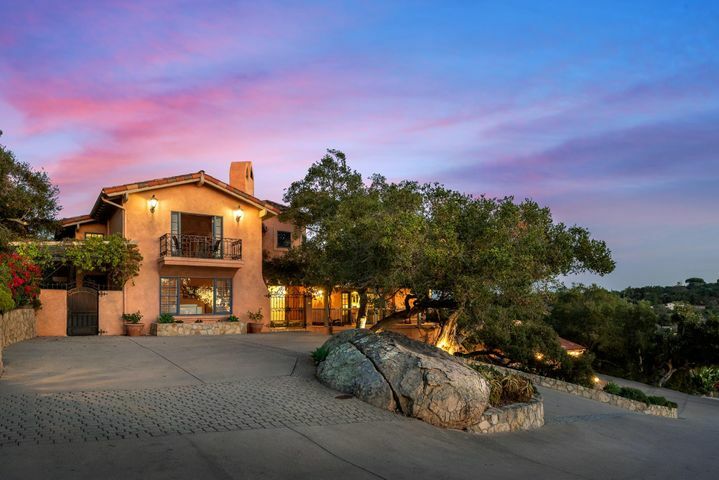 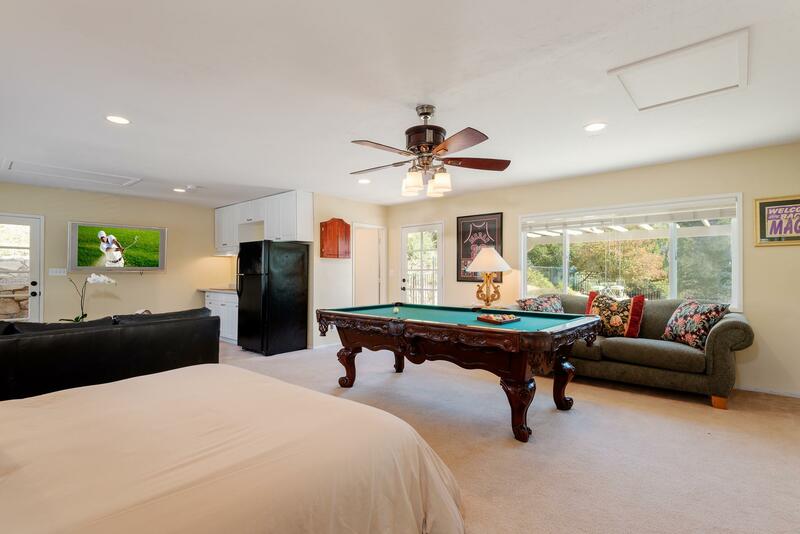 -om with jacuzzi bathtub, oversized walk-in shower, his and her sinks, personal office and a romantic ocean view balcony awaiting the sensational Santa Barbara sunsets. 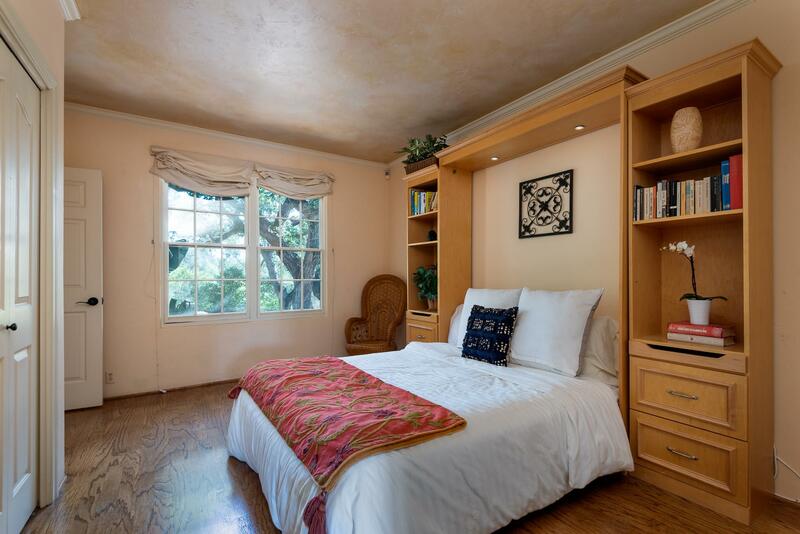 The guest bedrooms are bright and airy, with windows that look out over the lovely gardens. 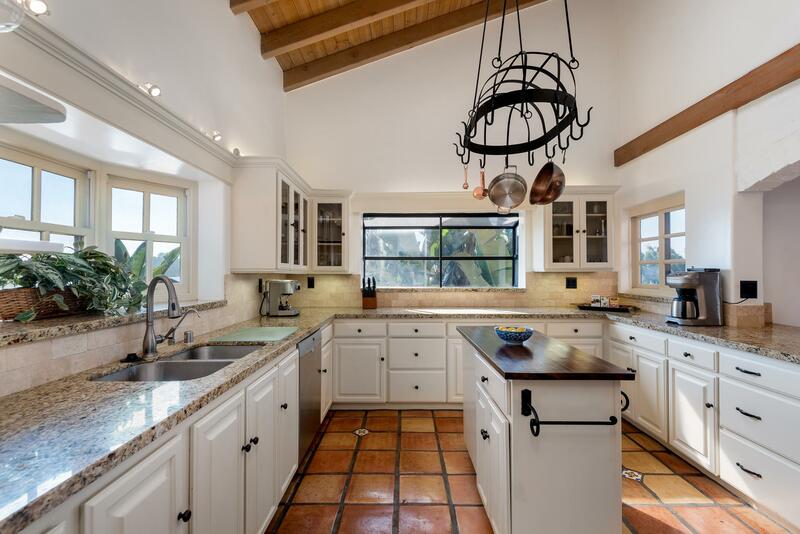 The open layout of the newly renovated kitchen includes a Wolf range and a Sub Zero Refrigerator, chef's island and a bar countertop perfect for entertaining family and guests. 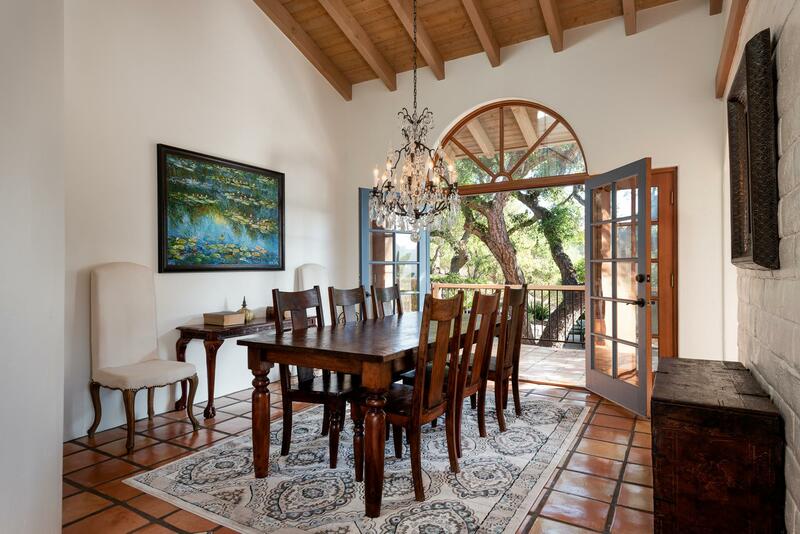 The formal dining room opens up to a covered balcony leading to the enchanting grounds, providing both intimacy and flexibility. 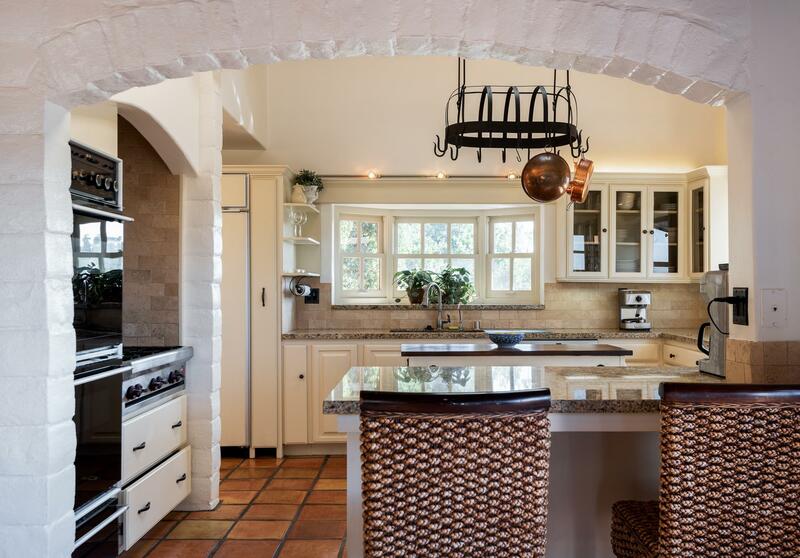 The home features vaulted beamed ceilings, 3 fireplaces, sandstone walls, hardwood floors, and elegant details throughout. 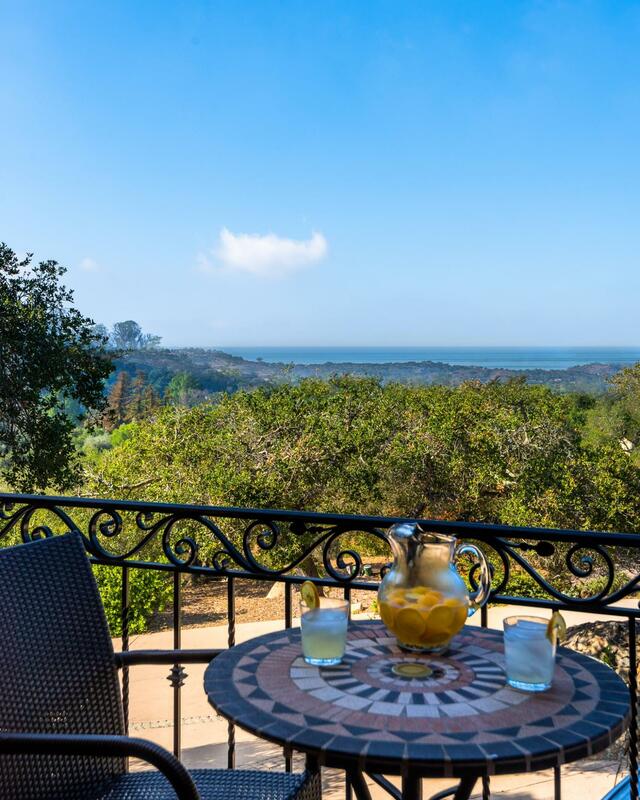 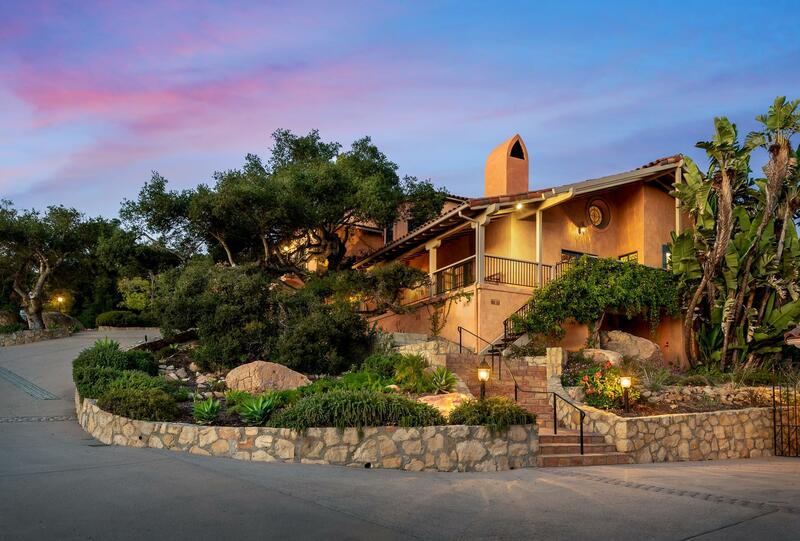 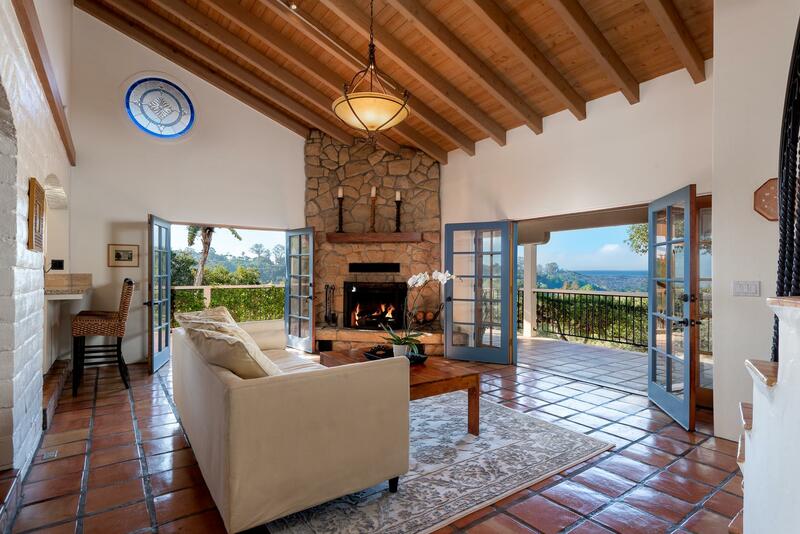 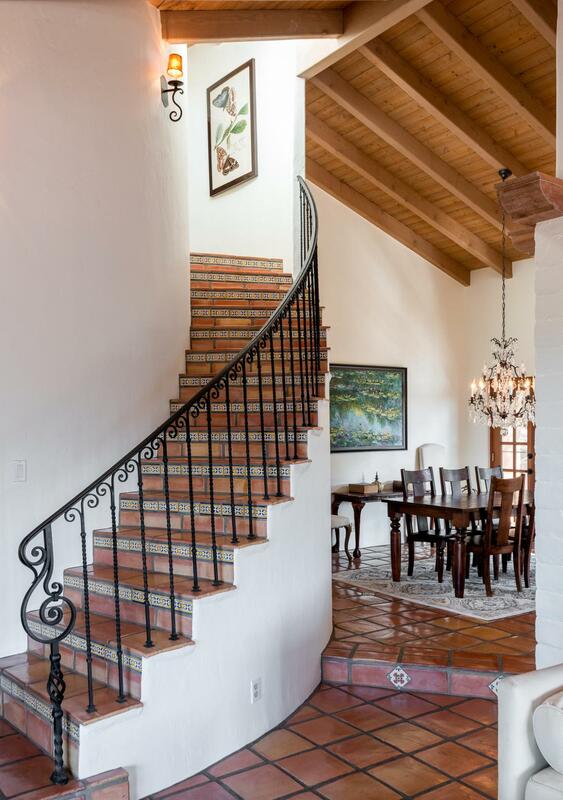 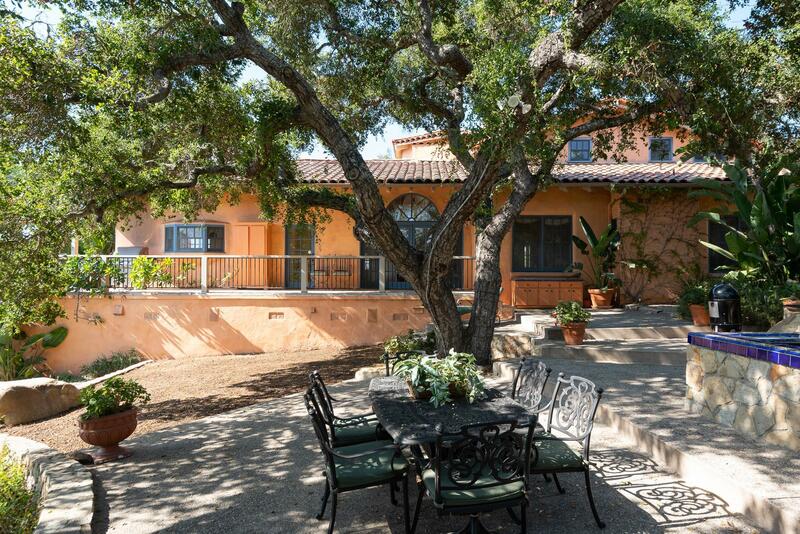 Located just minutes from quintessential Santa Barbara landmarks such as the Old Mission Santa Barbara, the Rose Gardens, the Belmond El Encanto, the Botanical Gardens, and the shops of Santa Barbara's El Paseo Mall to name a few. 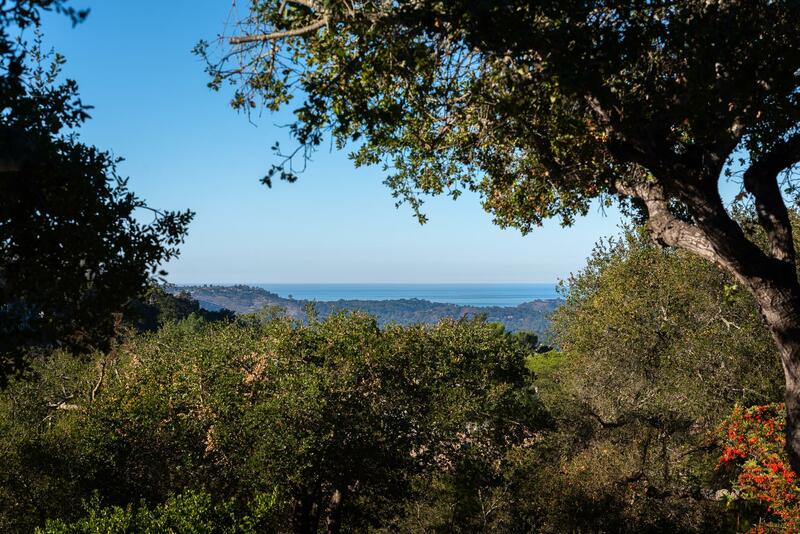 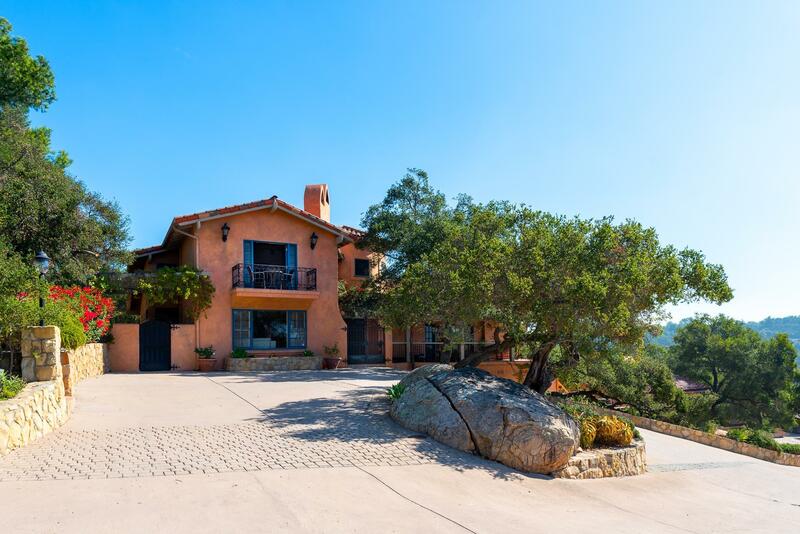 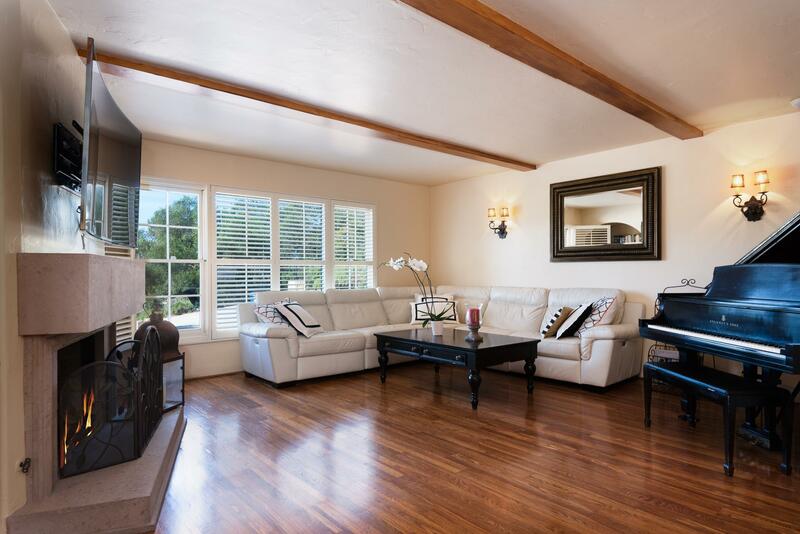 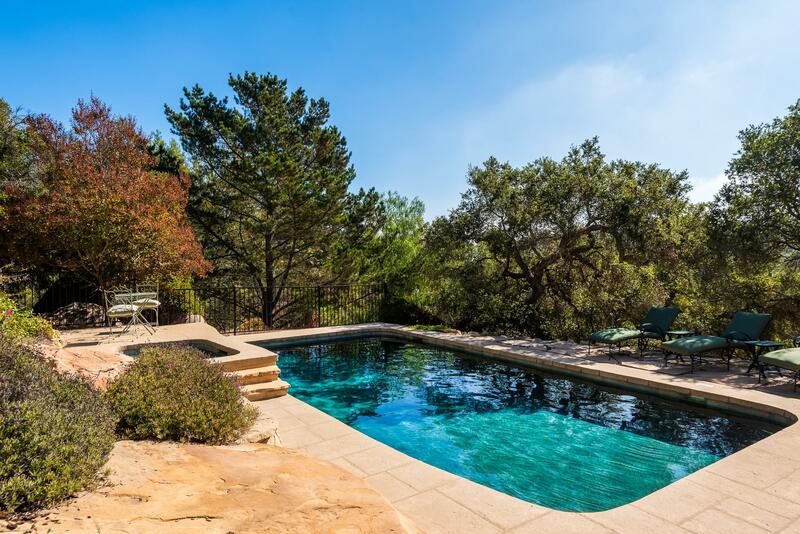 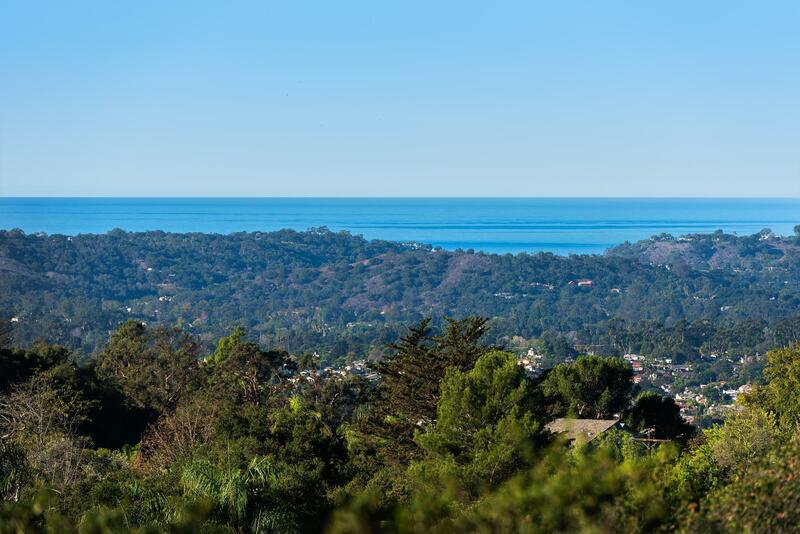 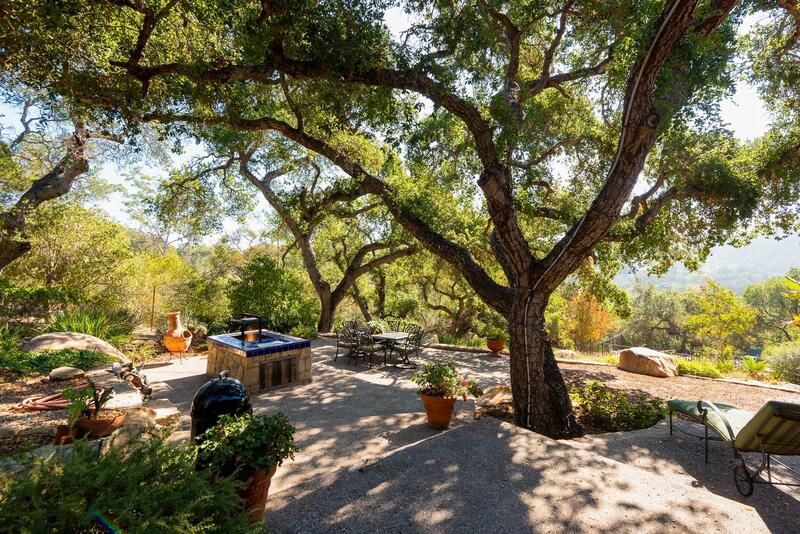 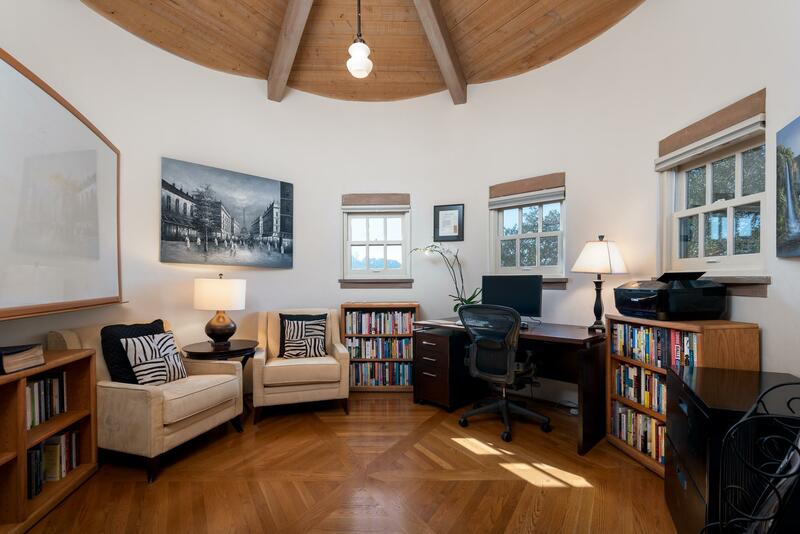 Also nearby for your enjoyment you will find the coveted Santa Barbara Tennis Club, numerous hiking trails, the Sheffield reservoir walk, Marymount School, Roosevelt elementary school, and much more.